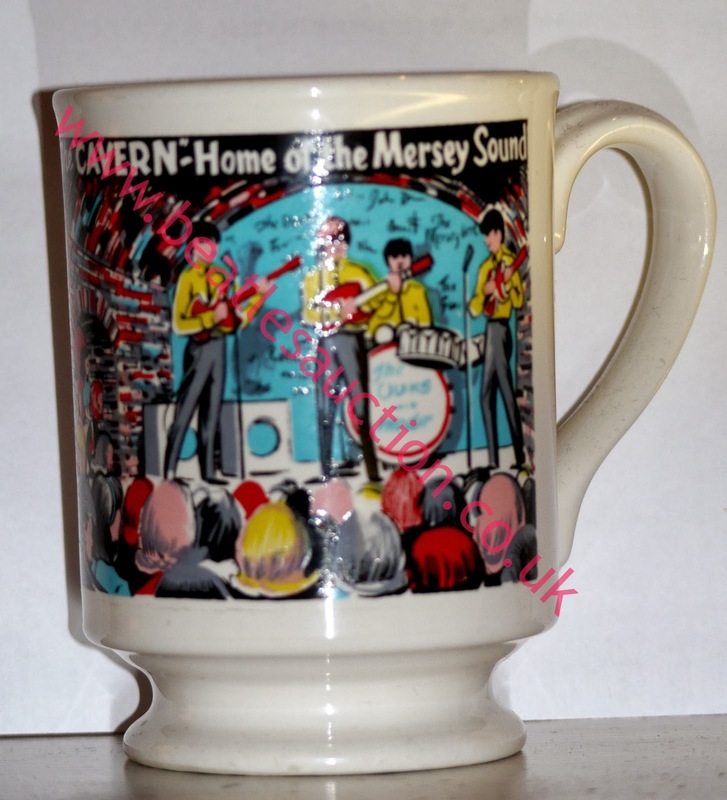 This original Cavern Club mug dates from around 1967 when the club made lots of memorabilia for visitors to buy. The colourful design shows a band on the famous stage and the mugs were produced by a Liverpool firm, Prince William Pottery, which is still going today. Original Cavern Club Mug - Estimated price £70-£90. While the mugs were manufactured in Liverpool the decals themselves were made by Precision Studios Ltd in Stoke on Trent. 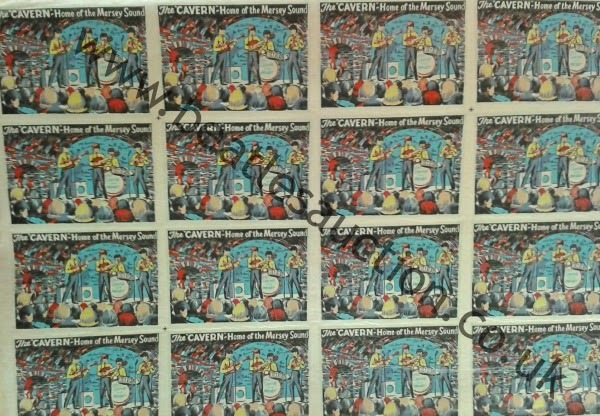 The transfers came of a sheet of twenty. These sheets look fabulous framed up on the wall. Both of these items are up for sale in the next Annual Liverpool Beatles Auction organised by The Beatles Shop. The auction takes place on Saturday 23rd August 2014 at the Paul McCartney Auditorium, Liverpool Institute for the Performing Arts. If you have any questions about items in the auction, or would like a valuation on any items you may have please see our contacts page by clicking here. Please note, all images on this site are now watermarked. If you would like to see images without watermarks either for use in the press or to view the item properly before deciding to bid please contact us.